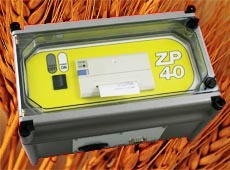 The ZP40 is a compact serial printer designed for harsh environments. The enclosure with its hinged transparent front, offers the ideal protection against dust and water. 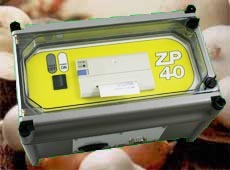 In a 40-column format the ZP40 provides a readable printout on the rolled 60mm wide paper. The loading feature allows for quick and easy replacements of the paper roll. Spare rolls and replacement print ribbons are available. 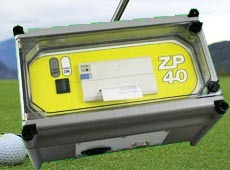 The printer is mains operated and is supplied with a serial connection lead. 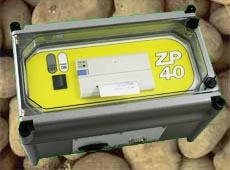 The ZP-40 printer is compatible with all Stealth Electronics Controllers. In the event of a customer having many Stealth Controllers but wish to share one printer the automatic serial printer switch is the ideal solution. 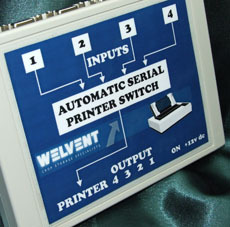 This switching unit is designed to share the one printer and up to four Stealth controllers. The operation of the switching box is such that it will automatically cycle and select the controller that requires to use the printer, whilst inhibiting other controllers from printing until the present printout is completed. Upon which the next controller is selected and a new printout resumed. Making this product ideal solution for the sharing printers.